Let’s all just sit and enjoy some lemonade, shall we? I don’t like summer, but I DO like ice cream a lot. Enter my new popsicle mold, which seriously was a long time coming. I constantly think to myself “oh, you should totally get one of those!” and then proceed to forget. Forever. Anyways, I finally managed to buy this ice pop mold, which I love so far! It’s got that classic shape, and it’s simple. Does the job! Moving on to one of the prettiest and best tasting ice creams I’ve ever made. Seriously, I was kind of surprised at how addicting it is. If you like lemon, this is perfection. The lemon flavor really comes through, even with so many strawberries in the mix. 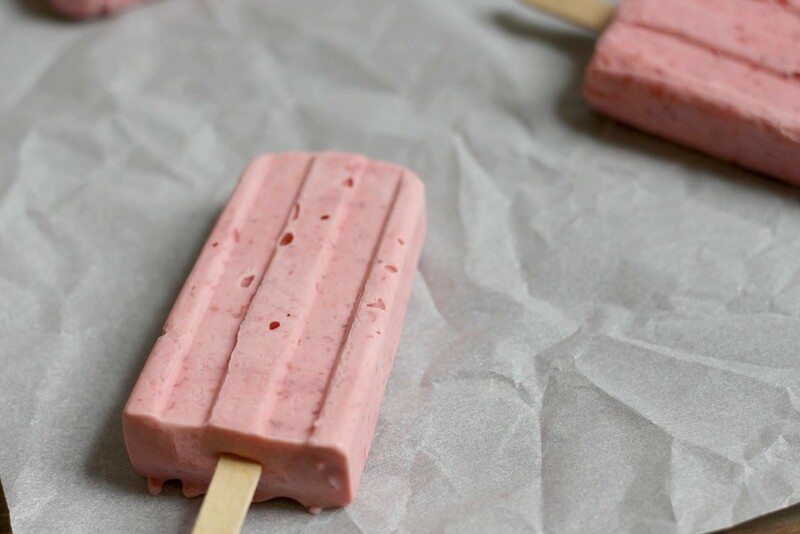 It’s tart and sweet and creamy, overall I’d say it’s the perfect summer treat to cool off with. The process of making pops is fairly lengthy, but it’s mostly freezing time, so it’s low effort. 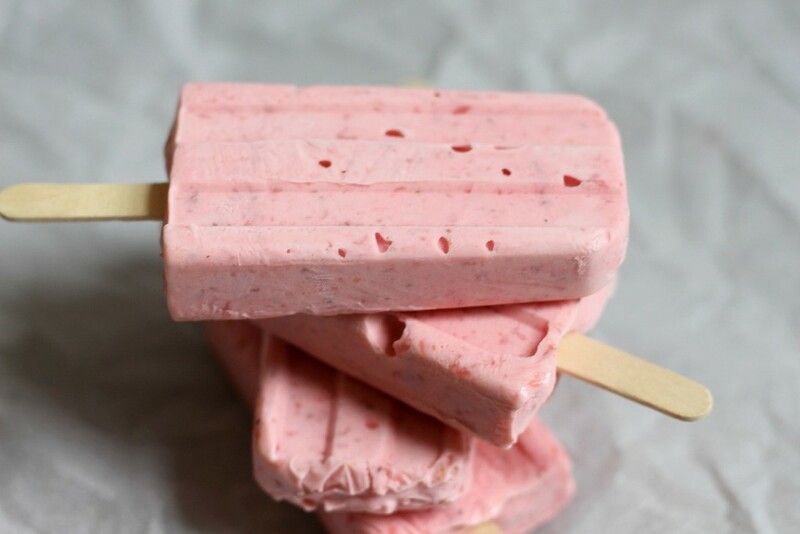 Basically, for ice pops which are more water-based and use a thin liquid, you want to fill your molds, and partially freeze them. Then, you’ll place the sticks in, and fully freeze before removing them from the molds. 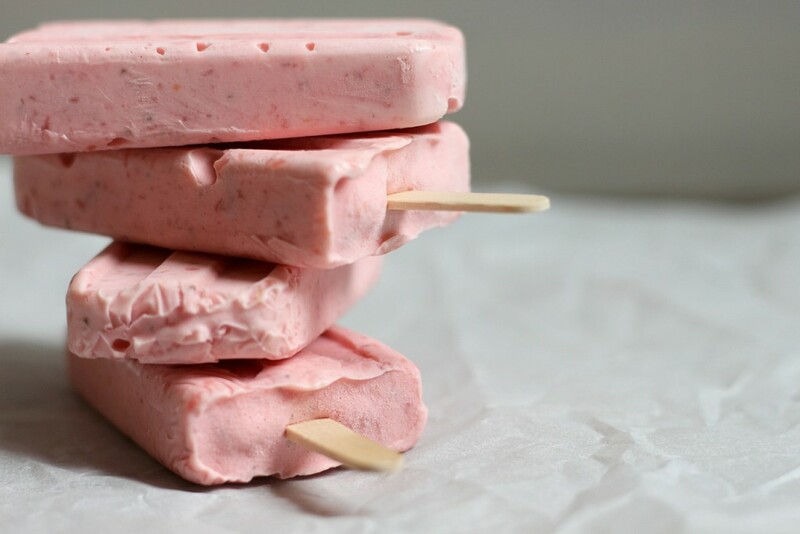 For this recipe, however, the ice cream base is thick enough on it’s own to hold up the sticks right away. That means you can simply spoon your molds full, place the sticks in, and freeze until completely solid. When it’s time to remove them from your tray, you’ll want to fill a large pan, that is high enough to cover your mold, with warm water. You can set the mold in the water for about 30 seconds, and then simply pull your pops out! This recipe makes about 24 pops, so several batches of freezing. You can keep your ice cream mixture in the fridge between batches, or you can simply freeze the rest as a scoop-able ice cream for later! Wash and hull your strawberries. Cut them in half. In a medium saucepan, cook the strawberries, cornstarch, sugar, and water until boiling. Remove from heat. Pulse in a food processor or blender until only small chunks of strawberries remain. Cool completely. Whip your cream until stiff peaks form, and then add in the sweetened condensed milk. Mix in the lemon juice and zest until fully incorporated. Mix in the blended strawberries until fully combined. 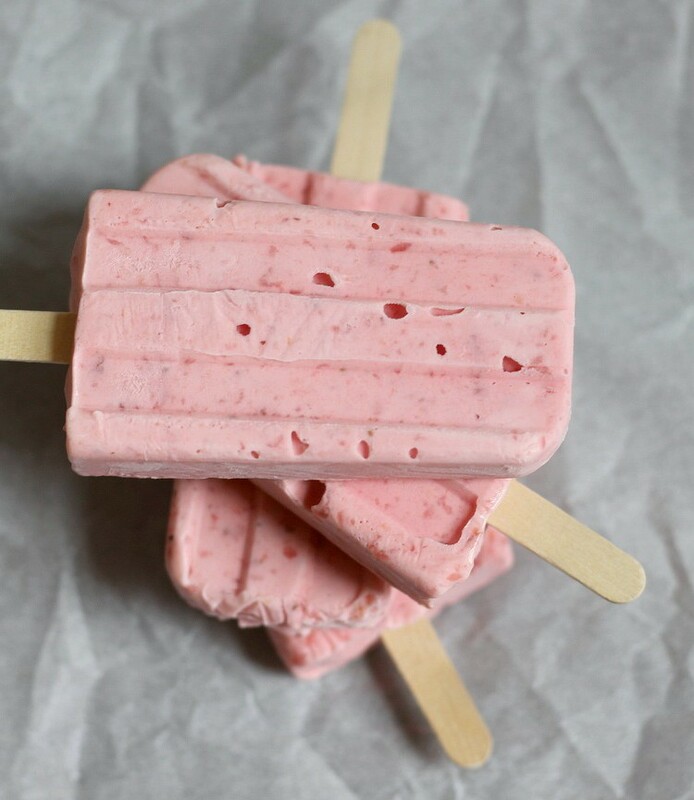 Spoon mixture into your ice pop molds, add the sticks, and freeze until completely hard, 4-6 hours. Wrap each pop tightly in plastic wrap to store in the freezer!